VIDEO: It's world national health day, so help your work colleagues out! 1 in 4 of us will experience mental health problems this year, so the charity time-for-change.co.uk are campaigning to get colleagues in your corner to help when things get tough. Having a colleague in your corner can make all the difference. World Mental Health Day 2017 is the perfect opportunity to get your workplace talking about mental health by encouraging colleagues to be there for one another. So, if someone you work with is acting differently, step in. Learning a bit about mental health might make it easier to be there for someone who needs your help. 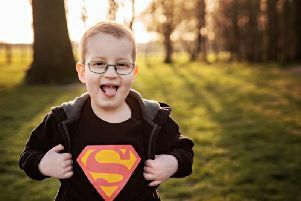 Can you help Dylan's fight against brain cancer?